I love this darling little kitty pin! It’s marcasite gems glitter, the face is adorable. I put it on my jacket as soon as it came and I have received many compliments. Really pleased with product. Lovely gift for any cat lover. Very happy with my pin. Details are beautiful. Get alot of conpliments. Quality is very good. Very happy. I bought this shirt cause i loved it . But for what I paid for it I'm not that impressed of the shirts quality its not very comfortable there is no give in the fabric. The design is still though cool also make sure you order it a couple sizes larger it fits very small they do mention it on the site just saying. This kitty is even cuter than the picture and it's very good quality. You can wear it either as a pin or a pendant. I've received a lot of compliments on it and I love wearing it. I will be checking this site for future kitty purchases. My 3 year old son plays with it now until his baby sister comes in a month. It’s safe for kids to use and it’s fun. I am happy that I got it. i love the brooch. it is adorable! I bought two pairs, one for me and one for my friend as a gift. We both love them , they are pretty, soft and comfortable . A very good purchase . Thanks! My daughter loves them so much. They are very warm and comfortable. love my kitty slippers! they fit perfectly and are very warm and comfortable! Took a,while to arrive, but worth the wait. This Pin is so Cute! I put it on My Jacket, and have put it on several others. Kitty goes with Me Every where!! Love it~ Thank You Billie from Indiana! I got this and love it. I get compliments on how cute it is. I love how it opens and closes. It is very convenient. I use it all the time, sometimes I use it as my purse. Looks much better than I thought it would look. I got this for a friend for Christmas and I know she will love it too. 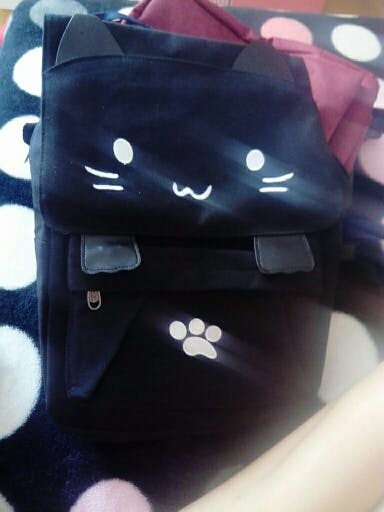 These bags are adorable. The colors are very bright. Plenty of room in this bag. The embroidery is nice. Seller was easy to work with and provided good service. Will use in the future. Delivery was fast and items were packed very well. Thank you for a great experience. Received the necklace and loved it. . Have been wearing it everyday. I have a black cat and his name is Salem Moon it's perfect. 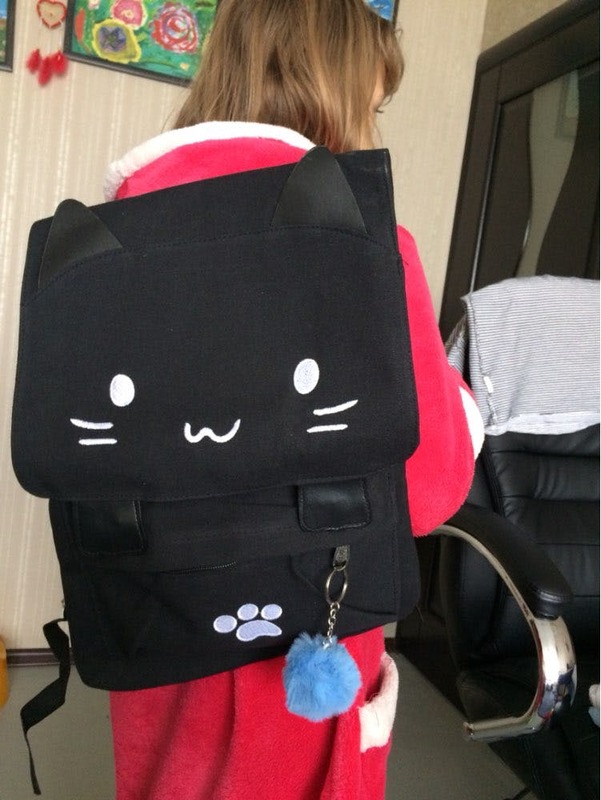 I thought it was very cute and I sent it to my granddaughter as a present. She likes it to. She will most likely wear it with leggings. match the description, very neatly sewn. 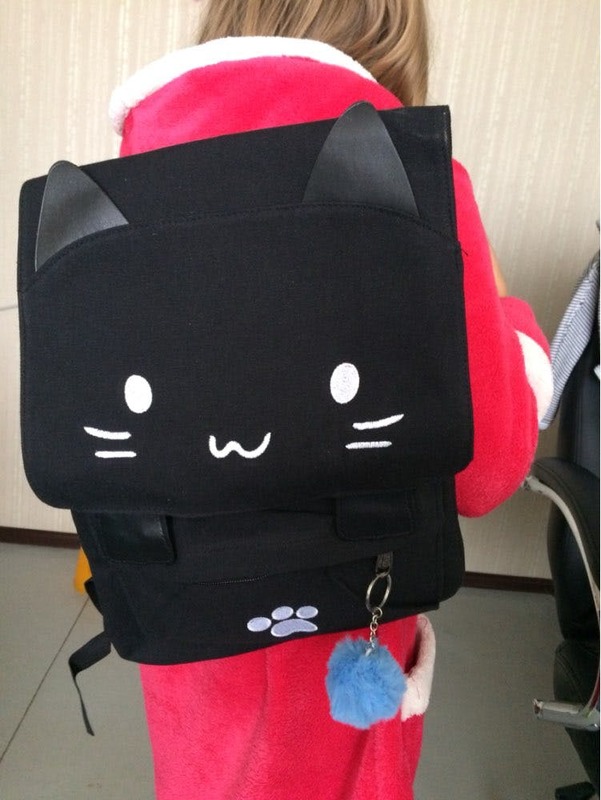 this is a really good quality backpack. the canvas used is really thick and sturdy. great buy for the price!